The NEW EzyDog Track 'N' Train Leash boasts an extra long 16 foot lead with ultra-grippy webbing making it a revolutionary dog training leash. Teach your dog to respect walking freedom while still having control with a comfortable extra long leash. Great for general training, recall training and tracking. WANT A DOG COLLAR TO TRAIN YOUR DOG NOT TO PULL? CHECK OUT OUR CHECKMATE COLLAR! It's very long and was what I was looking for, but wish it had a looped handle rather than a grip handle. This is a very nice leash. I like that it has a grip on it because it does not have a handle. I purchased this to help with my St Bernard on leash training. I really like the feel of the leash, with the stitching it is easy to tighten up my grip when he doesn't listen so well. Love this leash. Allows me to give her some room to run, without letting her off leash. Great to train with. Get a lot of complement and have been asked where to purchase it while in pet store (by one of their trainers). 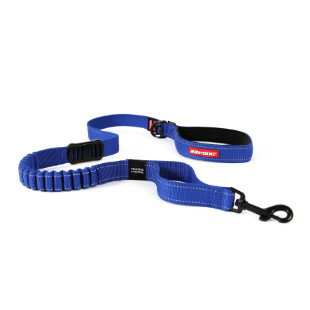 This leash is loved by me and my dog, He can get to the bush or tree he needs to sniff without having to pull or tug you from your current position. The rubberized texture gives great gripping and when you tie a slip knot it holds in place to wrap it over your head and around your chest for hands free action. Lightweight and durable(as long as they don't chew on it). 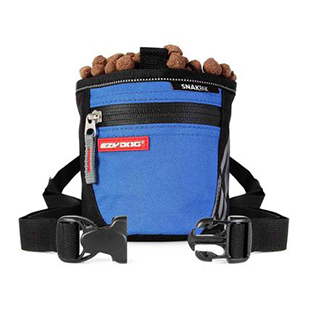 A great addition to your leash arsenal.